Mr. Madhukar R Umarji, Chief Advisor - Legal of the Indian Banks' Association is acknowledged as an authority on Secured Transactions Law in India. He began his career as a Legal Assistant for the state government simultaneously pursuing his Masters in law. Following his Masters, he shifted to being a Legal Advisor in commercial banks and completed his transition to a commercial banker by becoming Executive Director of a public sector bank. Later he was taken on deputation at Reserve Bank of India as Executive Director in charge of Department of Non-Banking Supervision. He has been a part of several Expert Committees set up by the Government and Working Groups concerned with Banking Sector Reforms in India. His pivotal role in the drafting of secured transactions legislation in India shaped the way for a path-breaking reform for the Indian banking industry. 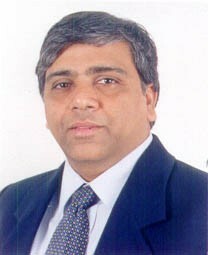 Presently, he is actively involved with Working Group VI of UNCITRAL on Secured Transactions as an expert from India. Mr. D K Vyas, CEO of Srei BNP, has catapulted Srei BNP Paribas to a dominant leadership position in the infrastructure and construction equipment finance business, with over 33% market share, leading a team of over 1,000 professionals, and with distribution across the country. Demonstrating a judicious balance between growth and prudence in lending, the company under his leadership has registered a CAGR of over 35% over the past five years, disbursed over Rs. 10,010 crore in FY 11 and has one of the lowest NPA’s in the industry. Mr. Chamria uses his position as one of the foremost leaders in India's asset financing industry to articulate his views on critical issues facing the industry and its future. 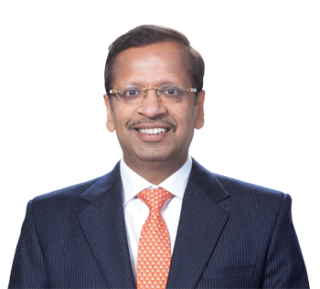 He has represented the BFSI and NBFC industry at various forums, including RBI, and before the finance ministry and other government bodies. He has also chaired committees at the FICCI, the Hire Purchase & Lease Association of India, the CII, the Finance Industry Development Council (FIDC) and the Indian Merchants Chamber in Mumbai. Mr. V. Srinivasa Rangan is Executive Director at Housing Development Finance Corporation Limited (HDFC Ltd). He has been associated with the company since 1986. Mr. Rangan is a Graduate in Commerce, CWA and an Associate member of the Institute of Chartered Accountants of India with national ranking. Mr Rangan has worked on international consulting assignments in housing finance in countries such as Ghana and the Maldives. 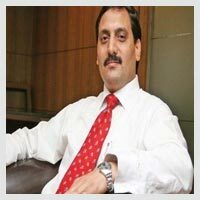 He has also been a member of various committees constituted by the regulators in the areas of development of Mortgage Backed Securitisation and Secondary Mortgage Markets which includes RBI's Committee on Asset Securitisation and Mortgage Backed Securitisation and Technical Group formed by National Housing Bank for setting up of a Secondary Mortgage market institution in India. Mr Rangan was recently conferred the "Best CFO in the Financial Sector for 2010" by "The Institute of Chartered Accountants of India" (ICAI) for exceptional performance and achievements as CFO in the Financial Sector for the year 2010 .